As you may or not be aware, I’m more than a little obsessed with high-end technology which can be used for evil lo-end/lo-fi output. So with a little work (and a distinct lack of skill, which I ooze) and an iPhone 3GS (okay, it’s not exactly high end given the advent of Stephen Hawking now being available in your phone) one can ‘break’ things just enough to get some alternative and (albeit to me) pleasing results. As per usual, I’ve been fluffing around with PhotoSynth on the iPhone and this time I’ve been using it on a variety of 2D images on my laptop screen. The trick this time is not to be all accurate and precise with the movement and turning, but instead to just go a bit wild, grabbing what you can when you can. PhotoSynth will tell you ‘NO’ (with it’s red box of in inrecognition) but if you move around enough, it will latch on to some part of the image and go green so you can snap it quick. If anyone has any suggestions for images to jumblyfy then comment me up and then some. It’s all Binky‘s fault. He told me about tilt-shift(ing) and has got me a little obsessed. Previously, I had just known it as miniaturisation because my wife’s camera calls it thus and I wasn’t aware of it’s vastness online. People have basically photographed mini-tilt-shift-cities, football pitches and have basically made the whole world look like Thomas the Tank Engine should chug past any minute. Given my excitement at the concept, I had to see what people had done of our fine city. Binky: I challenge thee to do the same for Lewes. Given that Flickr is the photo legend of old web land, I turned there first and come up with some varying qualities of stuff… However, I quickly noticed how few (er… 1!) of the Swansea tilt-shifters were willing to open up to the world of Creative Commons, so you get a slightly less visual treat I’m afraid. Update: Stephanie Rutt has given us permission to use an image of her lovely tilt-shift of Swansea. See number 7 below. Update #2: Jason Stanley has also given permission to use his image (#5). Many thanks. 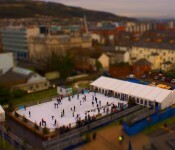 So, The Randwich presents the miniaturised-tilt-shift world of Swansea…. 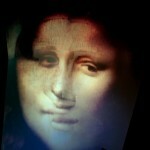 And as for the Glynn Vivian refurb… who thought it would ever happen?